I've tried bits of Nyx products here and there (some of which have been favourites of mine) but recently I managed to find a Boots store with a Nyx counter, I couldn't turn down the opportunity to have a look at some of the Nyx products available and hopefully find some new favourites. Originally I only really went looking for a mascara and concealer but ended up leaving with a bit more than that as usual. I remember watching all the Youtube videos back in the early 2010's and many raved about the Nyx Matte Lipsticks so I decided to pick up a couple of colours. 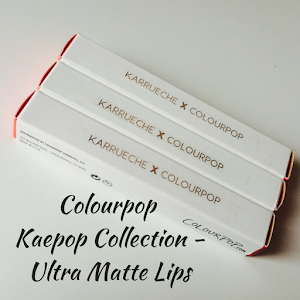 In recent years, I have opted more towards liquid lipsticks and lip glosses rather than returning to the good old lipstick formula! I picked up two pretty shades - Honeymoon and Sable. It's taken me a bit of time to write this post.. just because I didn't really know what I wanted to say. however I really wanted to write this to share and release some feelings. My close friend passed away a couple of months ago and it was incredibly hard for me to deal with as she was not just my friend but also my confidante and mentor. Having never really dealt with the death of someone close to me, I kind of just shut down and instead didn't really deal with it, I tried to shut away my feelings which only made me feel worse. I felt like I couldn't do anything, I was pretending that I could but inside I really wasn't mentally there. My life kind of felt like I was in a constant stand-still.. as if I wanted to try to keep going but the ability to do so was not really there. Nothing seemed to really soothe the way that I was feeling, I thought that my usual method of writing in my journal would help but I still felt the same at the end of the day. It was only when I went to the funeral a few weeks ago that I finally dealt with my feelings and can truly say that I am now feeling somewhat at peace in my grieving process. The death of my friend was a solemn reminder of our own mortality and how much we really should make use of the time that we do have because we do not know when that time will come to an end. Her incredible presence as a role model in my life and the amazing woman that she was has really inspired me to keep going even through the tough times and keep persevering in everything that I do. Even with the negative and horrible experiences that we may have had in our life or that we are currently going through, it is important to remember the good things that we do have and appreciate them as well as be the strong people that we all are. I just want everyone to remember no matter what you are going through, there is always a light at the end of the tunnel even if it seems a long way away. 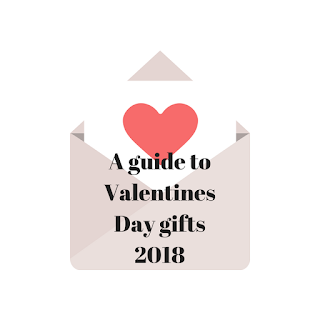 As the most romantic day of the year nears, I thought that it would highly useful to give you some ideas as to what would be good Valentine’s Gifts For Him & Her. 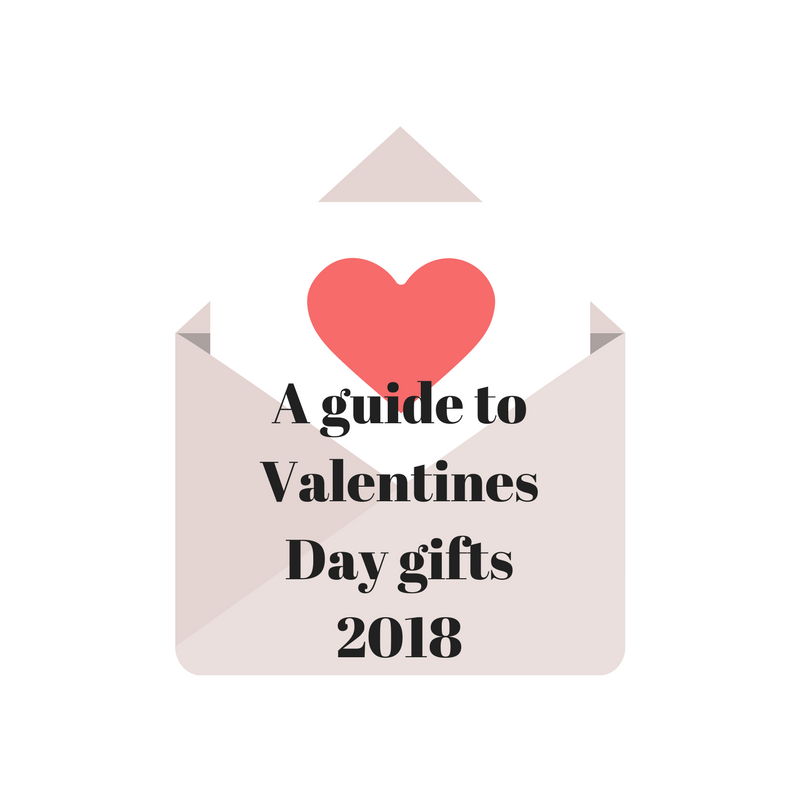 When it comes to gifts - particularly for celebratory days, most of us are often conflicted as to what we should buy so I hope this gift guide gives you a good idea of some classic and unconventional gifts you could use or even inspire you to make your own. How could you possibly go wrong with candles? With more than a plethora of scents available, it's almost impossible for you not to find a scent that you think someone will like. Although everyone has different likes when it comes to scents so try and find out what kind of notes e.g amber, floral that your giftee may like and then make your choice from there! Not got any cash to spend on a present or simply want to give a gift that personal touch? Make something homemade! Materials as well as make your own/DIY kits are available from a bunch of stores such as Poundland and the materials are super cheap. One of my favourite things I like to do using DIY materials are decorate a picture frame or personalised letter. Recently, I gave one of my dearest friends a personalised picture frame that I had decorated with positive words to remind them of how amazing they are! Any beauty lover always needs more brushes... enough is never really enough when it comes to makeup tools. There are also a number of colours you can purchase a makeup brush set in so if you know the person your buying a gift for has a favourite colour e.g pink, blue .. there are 100s upon 100s of brush sets in those colours and more! I think that journals or diaries are really great gift simply because they are a great outlet for people to share their feelings, emotions, achievements and more. They are also incredibly varied in their designs and colours therefore its very easy to go for a classic look or find something a little more eccentric. It's a great reminder as well as being motivating for your giftee to keep chasing after their dreams, be more organised and express themselves. Yes, the classic go to gift that is not only enticing but hard to get wrong. Buy some chocolate for your giftee! I would say go for a chocolate set that offers more than just two to three different variations of chocolate, a good suggestion would be Thornton's continental collection or Hotel Chocolat's The Valentine Sleekster! I would love to hear your own gift ideas below in the comments and make sure to let me know if you decide use any of these gift ideas! *This post was sponsored, however all opinions are my own. 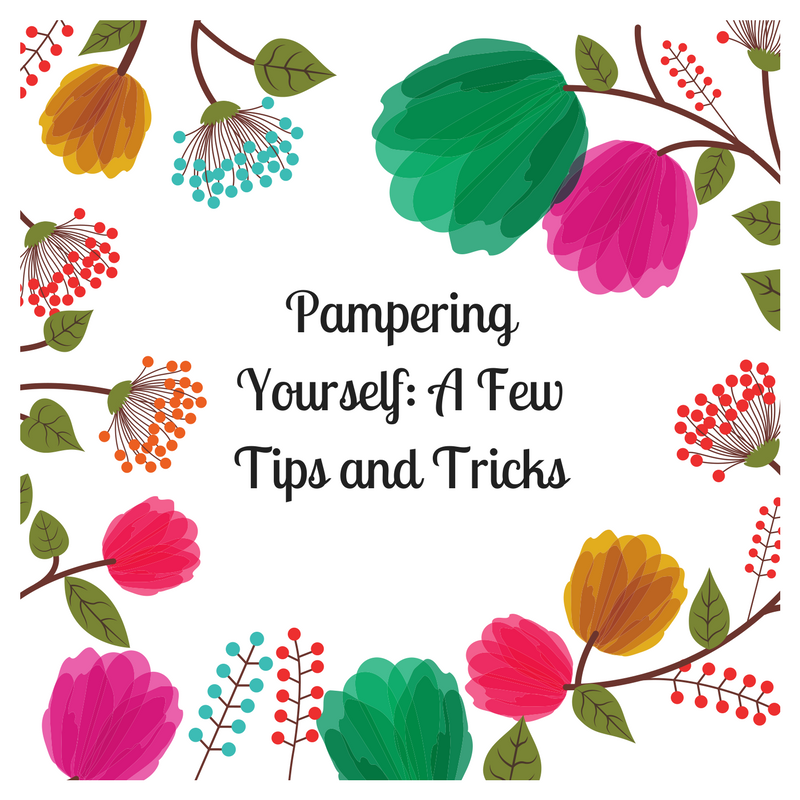 Pampering yourself is not just something fun to do but something we should all do at least once in a while. Given the harshness of Winter and the bustle of every day life, it can be hard to just take a few moments to yourself and give your body some well deserved pampering! Today I will be sharing with you a few tips and tricks I like to use when I want to pamper myself. Nothing makes my body feel more luxurious than using good quality body care products. Whether you want your hands to feel super soft or your entire body, using products that contain nourishing ingredients such as almond and milk really help to give a very indulgent feeling as well as soothing your skin. A great way to have your body feeling super soft is to exfoliate all the dry skin off and then apply a moisturising body butter to lock in the moisture. Sometimes we all need to revitalise our skin a little bit, giving yourself a mini-facial in the comfort of your own home is not only cost-effective but also a great way to revitalise your skin. Something I like to do that makes my face feel renewed is to fill a bowl with hot water, drop a tab such as Dream Steam (Lush) into the water to let it fizz, once done simply place a towel over your head and place your head above the bowl while your pores open up and takes in the oils. Take a look at my 'Switch up your Skincare' post for some more skincare tips! Being on your feet every day is undoubtedly very tiring and it is very easy to forget that your feet need some love too! When you have time, simply place your feet into a bowl of hot water - not too hot, let your feet soak for 5-10 minutes and apply a nourishing lotion - one of my favourites is the L'Occitane Shea Butter Foot Cream. To intensify the softness of your feet, put on some socks whilst your feet take in the hydration of the cream. Manicures are always a classic choice for pampering yourself, I love to use Barry M polishes as their polishes have multiple uses such as their Super Mani. Using a gel nail polish is also a really great to make your hands feel and look luxurious. Using either a regular polish and shiny top coat can also make your nails look super polished. Pampering your body is great but your mind also needs some of that pampering too. I really enjoy sitting down with a good book after pampering my body for some much needed mind-pampering. I suggest a book about being positive, chasing after your goals - one of my favourites is 'The Mind Makeover' by Sharron Lowe. It doesn't have to reading but doing something that renews and revitalises your mind is a great way to pamper it. A suggestion for an activity could be yoga, swimming, going to spa. If you have some time, why not check out my post on staying positive to inspire you some more? I hope you found some of these tips to be helpful and let me know if you decide to try any of these tips. If you have any tips on how you like to pamper then please let me know in the comments below, I would love to hear! *This post was sponsored however all opinions stated are my own. Now that we are drawing near to the end of the year, I thought this would be a good post to share some of my new ventures as well as hopefully inspire a few people to do something new. I am looking forward to the new year and all the new challenges that I can take on. I returned to education and decided to start my first degree. Education is one of my biggest passions and since leaving college 2 years ago, I have deeply missed classroom learning. I am more than happy to be learning something that I am very interested in and enjoy studying. I decided to go bare faced a little more often. One of the biggest issues I have had up until now is my confidence in my face without no makeup, it has been a big struggle for me to accept and believe that I am beautiful without wearing any makeup. It has been amazing to feel comfortable to go out with no makeup nearly every day and not feel conscious of the way I look. Focused more on personal development. Personal development is very important and sometimes you need to take time out for yourself to help your growth. I wanted to help grow as a person so this year I spent a lot of time relaxing as well as learning things about myself. If you ever need a break, take it! Let me know what new things you did this year in the comments down below. © Colours Of A Rose. Made with love by The Dutch Lady Designs.